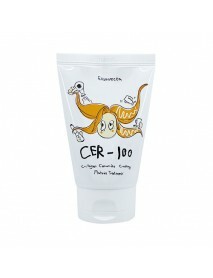 [APRILSKIN] Milk Booster Fast Treatment [Description] April Skin Milk Booster Fast Treatment is formulated with 80% of fresh milk protein.It provides a special care for both hair and scalp.Contains fresh milk protein ingredient high molcule.Elasti..
Busisi Hair Oil＇Product DescriptionHair oils are good for hair texture, protection, moisturizing, and glossy.＇How to useAfter the towel dry, apply the contents of the coin size uniformly to the entire hair evenly on the wet hair, then dry it.Apply th..
Waterful Hair Tonic＇Product DescriptionWaterful tonic, made from a combination of plant-derived ingredients, revitalizes the weary scalp, calms the scalp, relieves stress, and increases the thickness of the hair.It helps prevent hair loss＇How to useA..
Hairich Vedacell Hair Therapy Conditioner＇Product DescriptionConditioner for damage treatment & smoothness that deeply nourishes hair and adds shine and lightness.Patented formula on hair loss prevention and treatment.3-FREE FORMULAThree pernicious i..
CER-100 Collagen Ceramide Coating Protein Treatment＇Product DescriptionIt is a hair essence that transforms damaged, split hair to soft silky hair.Containing collagen, keratin and various botanical ingredients, it prevents hair damage and nourishes y..
CER-100 Collagen Coating Protein Ion Injection＇Product DescriptionA highly-moisturizing hair mask for improved manageability and curl elasticity.A deep conditioning mask that combines intense hydration and deep-down repair to restore the original hea..
CP-1 Ceramide Hair Treatment Protein Repair System Set＇Product DescriptionNatural moisturizing element Ceramide forms a protective layer on hair surface Repair and strengthen damaged andfragile hair Slightly acidic and non-irritating formula reduces ..
CP-1 Head Spa Scalp Exfoliator＇Product DescriptionA refreshing scalp swap enriched with natural extract to cleanse the hair and scalp by absorbing excess sebum, sweat, and odor. 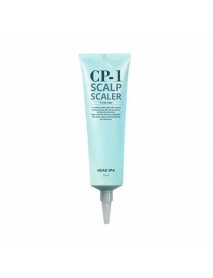 It leaves the scalp healthy, refreshed and cool, and delivers fresh scen..
CP-1 Head Spa Scalp Scaler＇Product DescriptionA soothing scalp scaler with natural extracts of sea salt and tea tree to control oil production, keep cool and cleansing scalp pore.This scaler cleans beyond ordinary dry shampoos.＇How to use1. 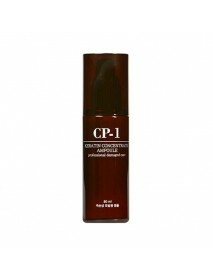 After rin..
CP-1 Head Spa Scalp Tincture＇Product DescriptionKeep your head fresh and in check with CP-1’s Head Spa Scalp Tincture. 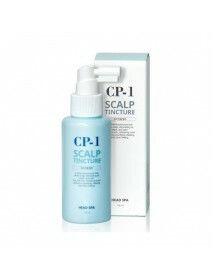 This scalp spray from CP-1 is infused with mint, tea tree, green tea and centella asiatica to refresh and cool down overheated scal..
CP-1 Keratin Concentrate Ampoule＇Product DescriptionAn ampoule for damaged hair. 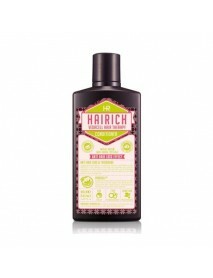 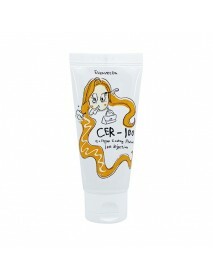 The light and less oily water-full oil permeates quickly into the hair, protecting the extremely damaged and dry hair. 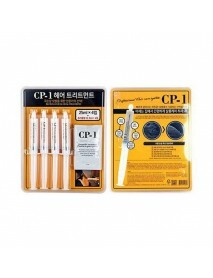 The hydrolyzed collagen deeply nourish the hair, m..
CP-1 Keratin Concentrate Ampoule＇Product DescriptionCP-1 keratin ampoule is a concentrated enriched keratin ampoule that prevents damaged hair from progressing.Water oil for Extreme Damage hair- A feeling of freshness without stickiness- Fast absorpt..